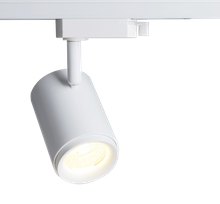 Track lighting is an innovative way of illuminating while at the same time drawing attention towards any desired area. It offers an easy way of setting up a number of ceiling spotlights. This form of lighting gives the flexibility of directing light to any particular section of your room. With track lights, you can easily highlight your favourite corner and immensely improve the overall look and feel of your interior. Track lights offer a lot of options to get creative with your space. You can use them to shed light on pictures, interior design elements and more. They can help you to bring out the best of any room. 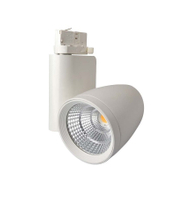 If you are looking for a track light, we are here to offer you the best. Everglow Lighting is a leading provider of LED lights in Australia. Over the years we have been successful in offering effective LED solutions to our customers. Our goal is to build a long-term relationship and we take utmost care to ensure that you have a fulfilling shopping experience with us. 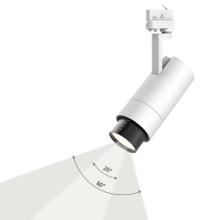 Our range of track lights is a blend of quality and functionality. They will not only help to brighten your space but will also enhance the design elements of your home. Our energy efficient solutions will help you to illuminate every shadowy corner of your domestic or commercial space. Our LED emergency lights involve a very low maintenance cost and consume less energy. This makes them a cost-effective solution for all your lighting needs. If you are eager to know more about our products or have any query, feel free to get in touch with our team. We will be glad to help you choose the most appropriate product. Call us on 1300 133 471.